“We do a lot of corporate lunches and clients say, ‘Thank goodness it’s not just sandwiches again!’,” laughs Caroline Sturzaker. 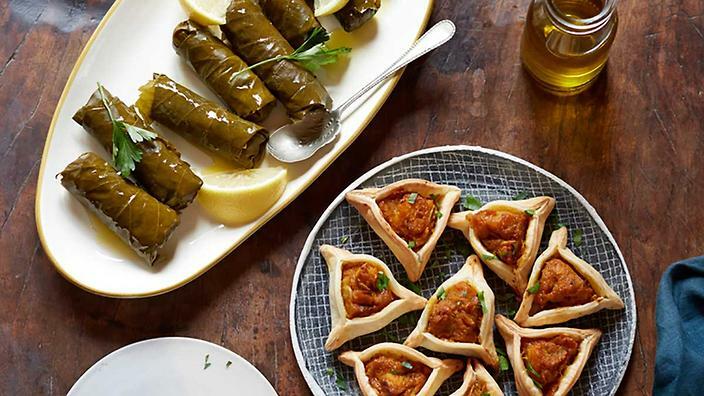 Sturzaker is talking about the diverse menu – from gyoza and empanadas to a West African vegetable stew and sweet Greek cheese pastries – offered by Melbourne-based ASRC Catering. Social enterprises founded by the Asylum Seeker Resource Centre achieved astonishing success in 2016, with the three businesses earning a staggering 62 per cent more income than the previous year. Can you smell what the Asylum Seeker Resource Centre is cooking? The ASRC Catering team claimed an award at the Social Enterprise Awards last Wednesday, taking home the award for the best business with less than 20 full-time employees. ASRC Catering took out the award for social enterprise of the year (small) on Wednesday evening. “We were really, really pleased last night, it was a great award to win,” ASRC social enterprise volunteer Ben Robb told Pro Bono Australia News. Our religious obsession with every aspect of food shows no sign of abating. We fervently worship our pantheon of celebrity chefs at sacred restaurant sites and rapidly multiplying food festivals. Elsewhere we pay homage by tuning in to watch our spiritual leaders hold court in the hallowed halls of reality shows where they anoint demigods before sashaying into supermarket aisles dispensing nutritional wisdom and urging besotted believers to purchase the latest cookbook bible. As we head into the party season once again, it's clear as gin that Melburnians love a tasty shindig. We love a rooftop, a smart cocktail, a cute little canape. But think about hosting and catering your own soiree and it sends a chill down most of us fierce enough to refreeze those mini spring rolls. In case you missed Jamie Oliver's "odd bunch" ads on television, food waste is so hot right now. Once the nostalgic territory of thrifty war-era home cooks, it's become front and centre in many of the world's best and brightest culinary minds. When the Asylum Seeker Resource Centre started a catering company 10 years ago, it had three aims. First, to provide work for asylum seekers who have the right to work in Australia. Second, to train workers for the hospitality industry. And lastly, to create an opportunity for the Australian community to learn that asylum seekers are people with stories, culture, experience and skills. That they do all this while serving tasty bites such as East African ugali (polenta cake with cheese and spinach) and Vietnamese rice-paper rolls is a bonus. Social enterprise projects open up exotic new worlds - and everybody benefits. IN THESE days of $2 million fit-outs and $10,000-a-week rent, is it any wonder that so many migrants and refugees find themselves driving cabs or cleaning offices rather than opening restaurants?